Why it matters: LG might not be challenging Samsung, Apple, and Huawei as one of the world's top smartphone companies, but it still produces some very compelling devices. Its next phone, the G8 ThinQ, will likely be unveiled at Mobile World Congress next month, and new leaks appear to confirm its design. 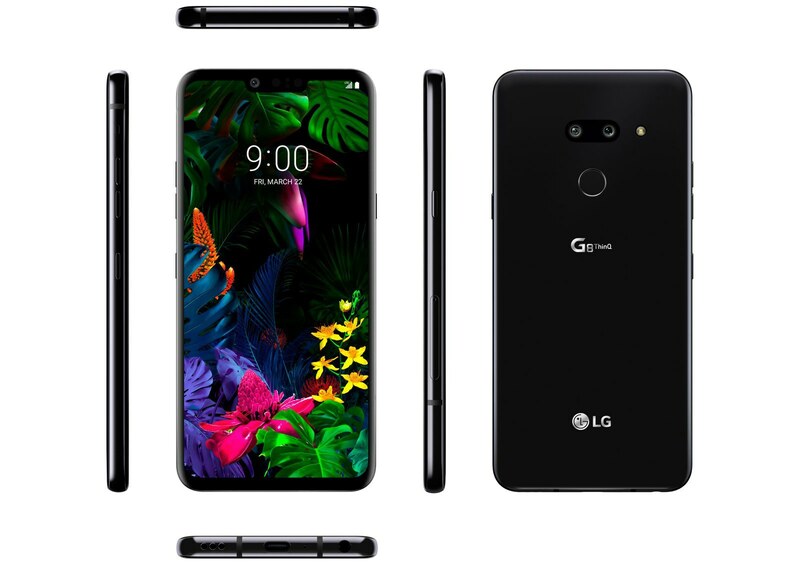 Prolific leaker Evan Blass posted the latest renders of the G8 ThinQ, showing the handset from every angle. The images look pretty much identical to those previously shared by OnLeaks and XDA-Developers, so it seems these renders are a close, or even an exact, representation of the final product. With top manufacturers such as Samsung moving away from notches and embracing hole punch designs, it appears LG is sticking with the more invasive cutout. The three-lens front-facing camera module includes a time-of-flight (TOF) image sensor made by Infineon, which will allow facial recognition, augmented reality and better selfies in various lighting conditions. TOF will reportedly be a feature of the Sony Xperia XZ4 and this year’s iPhones, too. Fans of wired headphones will no doubt be pleased to see LG is one of the few remaining brands to keep a 3.5mm jack in its handsets, and while the dual rear cameras of the G7 ThinQ remain, they’ve switched to a horizontal orientation. While nothing is confirmed, the G8 ThinQ is expected to come with a 6.1-inch OLED display (3120 x 1440), Android 9 Pie, a Qualcomm Snapdragon 855 SoC, at least 6 GB of RAM, a microSD slot, and 128 GB of storage space. We’ve also heard rumors that the screen might vibrate to produce sound—something seen in Vivo’s Nex handset—and that this could be a top flagship priced around $900. Additionally, there have been reports that LG will reveal an optional second-screen attachment for one of its phones at MWC. If true, then the G8 ThinQ seems to be the obvious choice for such an accessory. LG will likely reveal the G8 ThinQ on February 24th, before the official start of MWC.